This entry was posted on July 26, 2018 by Randall Hertzler. 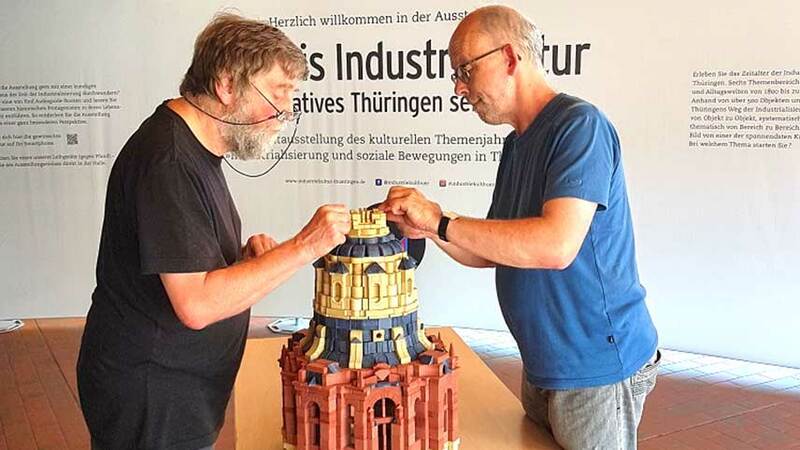 Building the Dresden Frauenkirche at the Thuringia exhibition on Industry and Culture. The exhibition Experience Industrial Culture - Innovative Thuringia since 1800 in Pößneck, Germany runs from June 6th through September 9th. It includes Anchor Stone building sets (Anker Steinbaukasten) that were first developed in Rudolstadt in the 1880s and are the first building toy system in the world. 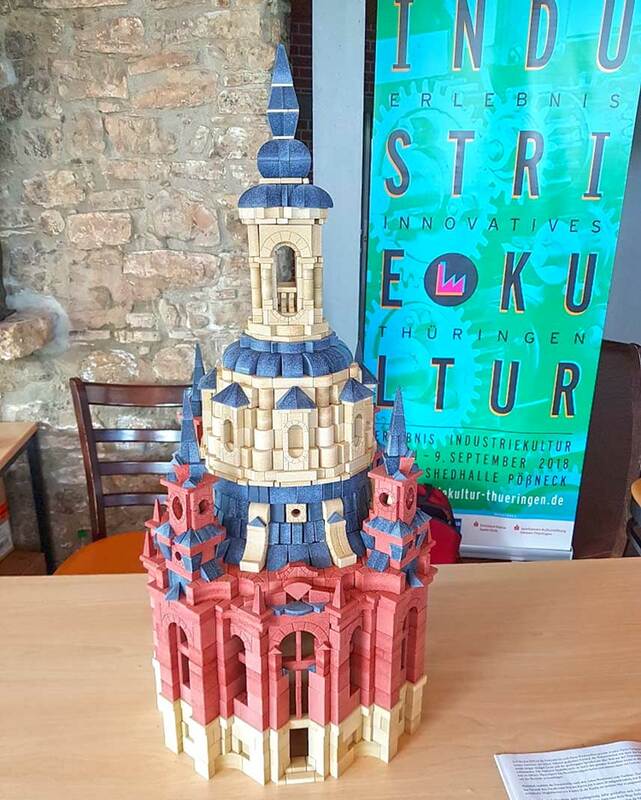 The finished Dresden Frauenkirche built from Anchor Stones at the Thuringia exhibition on Industry and Culture. Of course Anchor Stones are still produced today using the same formulas and practices. Very few products experience this longevity! Anchor Stone building sets continue to be an excellent way to experience three dimensional play, build hand-eye coordination, and teach spatial and visualization techniques.